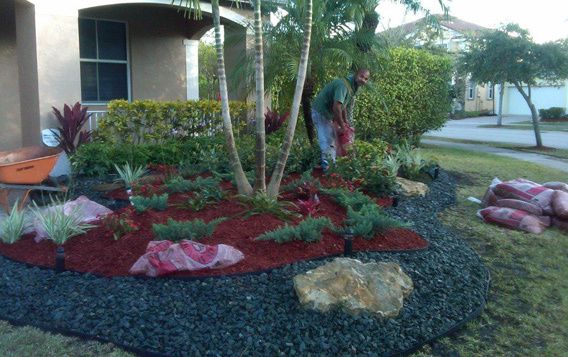 Landscaping packages can be customized to fit your budget. They include preparing the beds with enriched soil, plants, mulching or the use of river rock, landscape lighting, water features, walkways, and hardscapes (fountains or decorative features). Pricing depends on the size of your property and area to be landscaped. Maintenance packages include a visit from us every three months to keep your investment looking fresh. During our visit we will trim where necessary, weed, fertilize and use industry standard pesticides when needed. Being lovers of the great outdoors, we are concerned for our environment and make sure to use safe products as well as the right amounts of products. 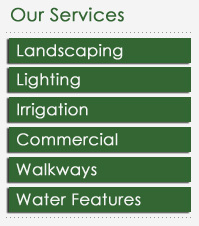 Pricing for these packages depends on the size of your landscape. All pricing can be discussed during your free estimate and finalized once the project begins. Call today for your free estimate!